Anderson who is also known as The Spider born in Barazil in April 14, 1975. He is a professional mixed material art fighter of Brazilian. Although known primarily for his skills in Muay Thai, Silva is a black belt in Brazilian Jiu-Jitsu which he earned in 2006 from Antônio Rodrigo Nogueira. He first started martial arts at age 14 doing Tae kwon do and earned a black belt by the age of 18. He is also a black belt in Judo and a yellow rope in Capoeira. He has competed in other promotions like PRIDE Fighting Championship, Shooto, and Rumble on the Rock, and holds wins over fighters such as Rich Franklin, Hayato Sakurai, Carlos Newton, and Lee Murray. Silva is generally considered one of the top fighters at 185 lbs (84 kg) in mixed martial arts, and is also thought to be one of the most dangerous strikers in the sport. Andeson is UFC MMA Pound for Pound middleweight Champion of 2009 by UFC. According to wikipedia Anderson Silva initially fought in the Mecca organization in Brazil. Silva lost his first fight to Luiz Azeredo by split decision. After that fight, he went on a nine-fight winning streak, winning six of those fights by either submission or TKO. After winning his first match in Japan he was put up against Shooto champion Hayato Sakurai on August 26, 2001. Silva beat Sakurai by unanimous decision after three rounds and became the new Shooto Middleweight Champion (at 167 lb) and the first man to defeat Sakurai who was undefeated in his first 20 fights. Silva fought in the Mecca organization in Brazil. Silva lost his first fight to Luiz Azeredo by decision. After that fight, he went on a nine-fight winning streak, winning 6 of those fights by either submission or TKO. His first match in Japan was against Shooto Champion Hayato Sakurai. Silva was the first person to beat Sakurai, and became the new Shooto Middleweight(167 lb) Champion. 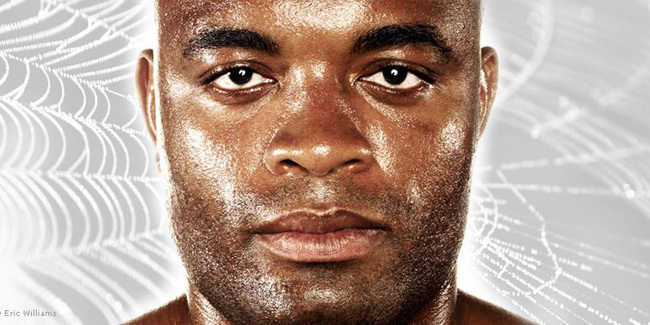 Anderson Silva appeared in Never Surrender in 2009. Anderson Silva love to stand up and exchange, but he also really enjoy fighting on the ground too.